SAR CONNECTA: Miserable weather for the Blue Train's visit to Durban this weekend. On the front (and looking fantastic!!) were 18-802 & 18-807, seen here passing through Cato Ridge Station (20th September 2014). Miserable weather for the Blue Train's visit to Durban this weekend. On the front (and looking fantastic!!) 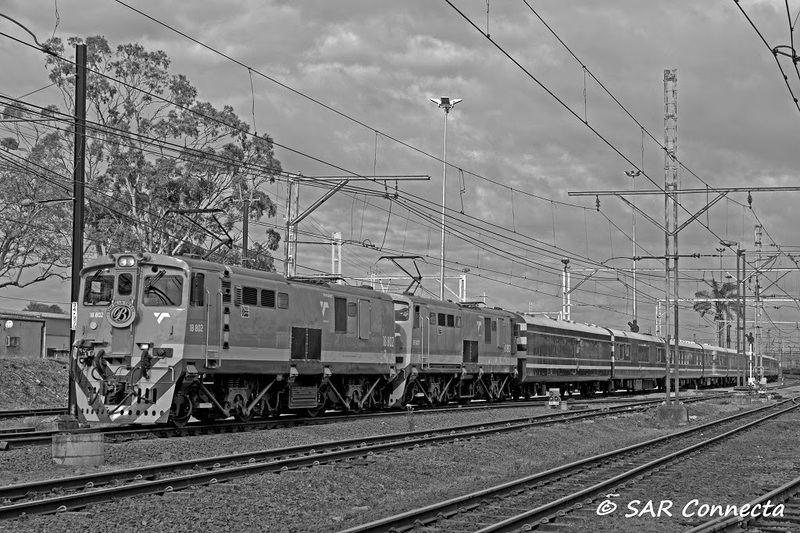 were 18-802 & 18-807, seen here passing through Cato Ridge Station (20th September 2014).